Jose Munoz: Ghosn ally is out. He was frequently cited as a possible successor to Nissan CEO Hiroto Saikawa. TOKYO — The widening Carlos Ghosn crisis has reached U.S. shores. Part of Nissan's investigation into the scandal, which has led to Ghosn's arrest and removal as chairman, focuses on how some U.S. franchises were awarded. Under review is a California group run by an associate of the Saudi businessman at the center of breach-of-trust allegations against Ghosn. Meanwhile, one of the ousted Nissan chairman's closest allies and one of the automaker's most powerful executives, Jose Munoz, quit his job as chief performance officer late last week after having been given a leave of absence. Munoz's sudden sidelining had many U.S. dealers worried about Nissan's retail strategy. The company is fine-tuning an overhaul of his often-controversial U.S. dealer incentive programs. Nissan's contentious calculus of spiffs and stair-step incentives is undergoing a rocky transition under CEO Hiroto Saikawa, who is trying to break with Nissan's past sales practices. Munoz handed off direct control of North America last year to look after China. But as the company's chief performance officer he maintained global oversight and represented a powerful voice for the U.S. in the top management at headquarters in Yokohama. Munoz, 53, also had been envisioned by some as a possible successor to Saikawa. "It's a tremendous loss to the dealer body," said Ray Brandt, Nissan National Dealer Advisory Board member and CEO of Ray Brandt Auto Group in Harvey, La. "I am very concerned." Nissan North America executives discussed the Munoz's sidelining in Yokohama with the dealer board during a regularly scheduled conference call last week, before Munoz's resignation. "They assured us that all of our resources and the direction we're going is still in place," dealer board Chairman Tim Hill and owner of Hill Nissan in Winter Haven, Florida, told Automotive News. Separately, as part of its probe of potential misconduct related to Ghosn, Nissan is scrutinizing the awarding of franchises to Trophy Automotive Dealer Group, a person familiar with the matter said. Headquartered in Glendale, California, Trophy Automotive has six stores in Southern California. Two are Nissan outlets, two sell Kia and two sell Mercedes-Benz. The person offered no further details about the investigation, noting it is in its early stages. It was unclear whether Munoz's leave was related. Neither Munoz nor Trophy Automotive has been accused of wrongdoing. Trophy Automotive was founded in 2014, the same year Munoz was named chairman of Nissan North America. Trophy Automotive is under scrutiny because its CEO, Nasser Watar, is a business associate of Khaled Al Juffali, the person familiar with the matter said. Juffali is the Saudi businessman identified by Tokyo prosecutors as a key figure in their breach-of-trust investigation against Ghosn. The prosecutors allege that Ghosn arranged payment of $14.7 million from a Nissan subsidiary to a company owned by Juffali to help Ghosn settle millions of dollars of personal losses on currency swap contracts concerning his executive compensation. Watar and Juffali are joint owners of Al-Dahana which, in turn, owns 50 percent of Nissan Gulf, the regional distributor for Nissan and Infiniti in several Middle Eastern countries. Ghosn and Juffali have denied any misconduct or kickback scheme. Phone calls and emails seeking comment from the general managers of Trophy Automotive's two Nissan stores, George Khabbaz of West Covina Nissan in West Covina, Calif., and Tom Awada of Universal City Nissan in Los Angeles, went unanswered. A woman who answered the phone at Trophy Automotive's head office and identified herself as the group's legal assistant declined immediate comment, saying the company would first have to look into the matter. Nissan also declined to comment on the matter. The new dealer issue indicates that Ghosn's legal saga in Japan is spilling into operations worldwide. One source said Nissan has a team of 100 people scouring the company for evidence of possible misconduct linked to Ghosn's long tenure as head of the automaker. A person familiar with the probe said Nissan is ordering especially close audits of operations in the Middle East, Latin America and Asia. Munoz is not the only high-level executive affected by the investigation. Senior Vice President Arun Bajaj, who heads human resources at Nissan and is senior vice president of talent development at the Renault-Nissan-Mitsubishi alliance, is on a leave of absence. Bajaj is cooperating with Japanese prosecutors in their investigation of Ghosn, a person familiar with the matter said. When asked by Automotive News about his status, Bajaj said, "I'm staying out of it. No comment." One source said Bajaj was expected to eventually return to work. One Nissan insider called the sidelining of Munoz and Bajaj a "purge" of influential Ghosn-era executives, after Ghosn's stunning Nov. 19 arrest in Japan and removal as Nissan's chairman. Munoz, who ran Nissan's North American business before being given responsibility for sales results around the world, cited the internal investigation of Ghosn in his resignation. The Spaniard aggressively drove the company's controversial multi-year drive to boost its U.S. market share to 10 percent in accordance with Ghosn's orders, angering many dealers along the way. He also blamed Nissan's widening investigation of past Ghosn activities, for diverting the company's focus. Munoz had been scheduled to unveil the extended-range Leaf electric vehicle last week at CES in Las Vegas, but his appearance was scrubbed. While on leave, Munoz was asked by Nissan not to come into his office, a person familiar with his status said. Two people familiar with the matter said Munoz was not sufficiently cooperating with Nissan's probe against Ghosn. One source said Nissan was also questioning Munoz's role in awarding supplier contracts, including one with a parts maker in Mexico. Munoz, a native of Spain, is believed to have not visited Japan since leaving the country in late November, shortly after Ghosn's arrest. Munoz was frequently cited as a possible successor to Saikawa. Indeed, Saikawa named Munoz chairman of Nissan's business in China — the automaker's biggest market, but a key region where Munoz lacked deep experience. The move was seen as part of his grooming for the top post. But Saikawa and Munoz didn't always see eye to eye, especially over U.S. growth strategy. It fell to Munoz to execute Ghosn's aggressive 2011 midterm business plan in North America, Power 88. The plan targeted an 8 percent operating profit margin and 8 percent global market share. Nissan missed those, but Munoz in select months delivered another top goal of the plan: a 10 percent U.S. market share, a gain of more than 3 percentage points from the plan's starting point, a feat many critics doubted was possible. But that growth plan proved to be an unabashed race for volume, fueled by heaps of incentives for retailers and consumers. In 2017, the year Power 88 concluded, Nissan and Infiniti combined booked record U.S. sales of 1.59 million vehicles and record market share of 9.2 percent for the entire year. Big dealers who learned to work the incentive system flourished. "The Japanese are much more conservative, but Ghosn and Jose Munoz realized you need some aggressive dealers," said Scott Smith, vice chairman of the Nissan National Dealer Advisory Board and owner of Smith Automotive, which has four Nissan stores in the Atlanta area. "To hit their targets, it forces the dealers to really be engaged in the store on every level. For three years, I had record profits. "We want to see an aggressive plan that also builds the brand," he said. But smaller dealers felt squeezed into unrealistic targets. Critics called Nissan's sales plan unsustainable and profit-eroding in the long run. "The problem under the Munoz tenure was that it was simply market share at any cost," said Steve Kalafer who says he was so jaded by the approach that he sold his Nissan franchise. "The entire reign of Munoz is against a backdrop of the finest product launch that Nissan has ever had. These products are not inferior. The brand name has become inferior," said Kalafer, who as CEO and founding chairman of Flemington Car and Truck Country in Flemington, New Jersey, still sells the luxury Infiniti brand. After Saikawa succeeded Ghosn as CEO in April 2017, he began to reverse course. He dumped hard numerical targets and said Nissan wouldn't chase sales volume at the expense of brand value. He also tried to dial back fleet sales and incentives. But by all accounts, he overdid it. Combined sales of the Nissan and Infiniti brands fell 28 percent in April 2018 alone. Group sales in the U.S. finished the year down 6.3 percent, while market share shrank to 8.6 percent. A new round of soul searching is underway. On one side are dealers who backed Munoz's aggressive strategy. On the other are those supporting Saikawa's kinder, gentler approach, despite some growing pains from it. 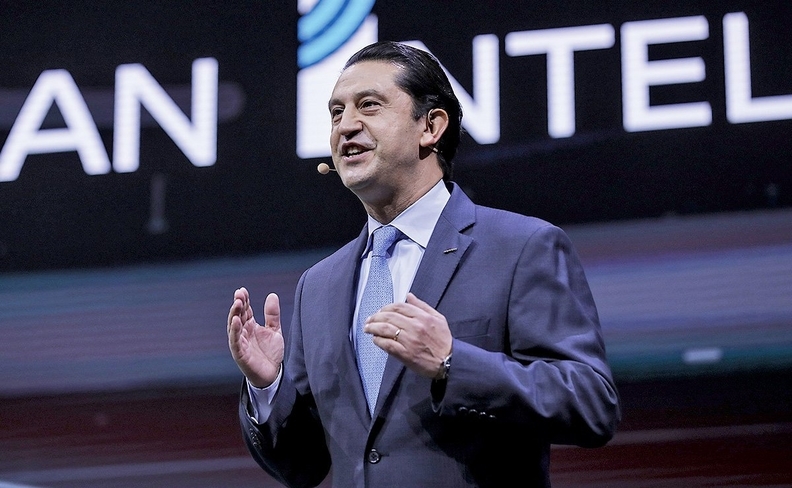 Munoz won loyalty among Nissan Group's approximately 1,300-dealer retail community for his chipper demeanor, never-quit work ethic and accessibility, his fans say. Wayne Siegel, owner of Legend Auto Group in Amityville, New York, and also a member of the Nissan National Dealer Advisory Board, said Munoz's departure is "more traumatic for the dealers than they imagine. "Having him out of the picture is unnerving and fuels more unsettling news at a time when we need things to settle down," he said. "If he's collateral damage, it's just a shame." Munoz's supporters said he understood the U.S. better than his Japanese counterparts. They said he was still influential through close coordination with Denis Le Vot, his successor as North America chairman. In December, Le Vot's organization boosted sales spiffs to goose volume as the year ended, reversing some of the deep cuts to incentive programs that were made during the year. But for dealers who opposed Ghosn's six-year volume push — and there have been many — Saikawa's softer approach is a step in the right direction. "I think everybody is thrilled there is new management at the top. What they are saying now is music to our ears," said one dealer who has been with Nissan for decades and owns multiple stores. In a Jan. 6 letter to U.S. dealers viewed by Automotive News, Le Vot apologized for not giving advance notice of Munoz's leave. He also tried to reassure dealers that the U.S. leadership team is still committed to a midterm plan in which about 70 percent of the product lineup will be renewed over the next two years. "I ask you to stay focused on your Nissan business," Le Vot said. "The relationship between Nissan and each individual dealer is of vital importance."